Jacobson, Howard. 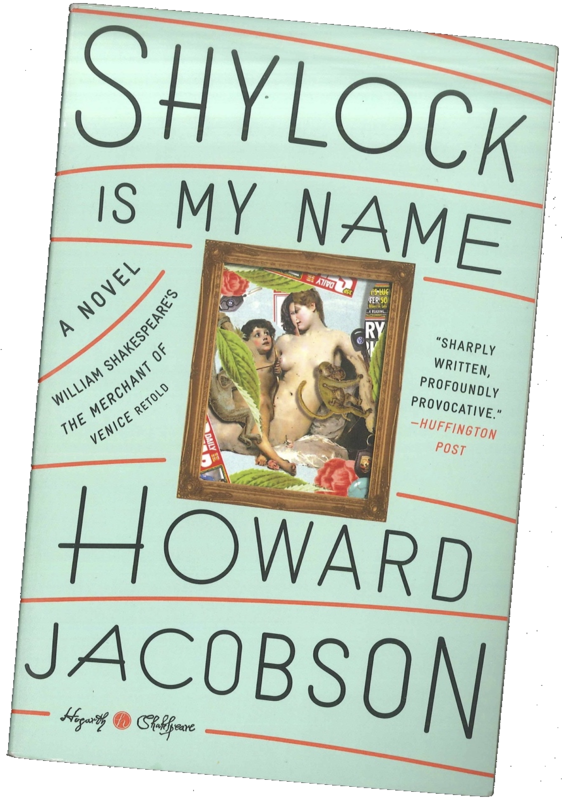 Shylock is my Name: William Shakespeare's The Merchant of Venice Retold. London: Hogarth Shakespeare, 2016. On the whole, I have not been terribly impressed with the Hogarth Shakespeare series. The Winter's Tale one (for which, q.v.) starting off very promising, but tried too hard. The Taming of the Shrew one (for which, q.v.) didn't seem to think that deeply about the play. But Shlock is my Name was profound in its grappling with Shakespeare's play—while making it its own and inviting us to look back at Merchant of Venice. It takes a while for everything to build, but we essentially have the story of Simon Strulovitch, whose daughter is running wild and who intends to marry a christian. His story is set in contemporary England (contemporary to us, that is, not to Shakespeare). He meets Shylock in a graveyard. 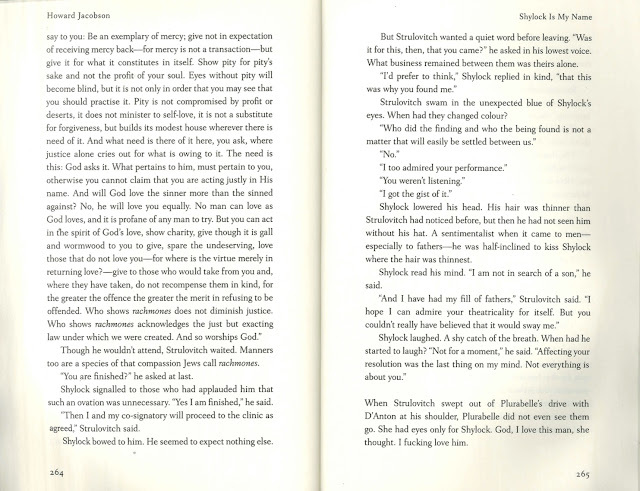 At first, Shylock seems to be contemporary to Strulovitch, but it becomes clearer and clearer that Shylock's story has been completed and the Strulovitch is echoing it. 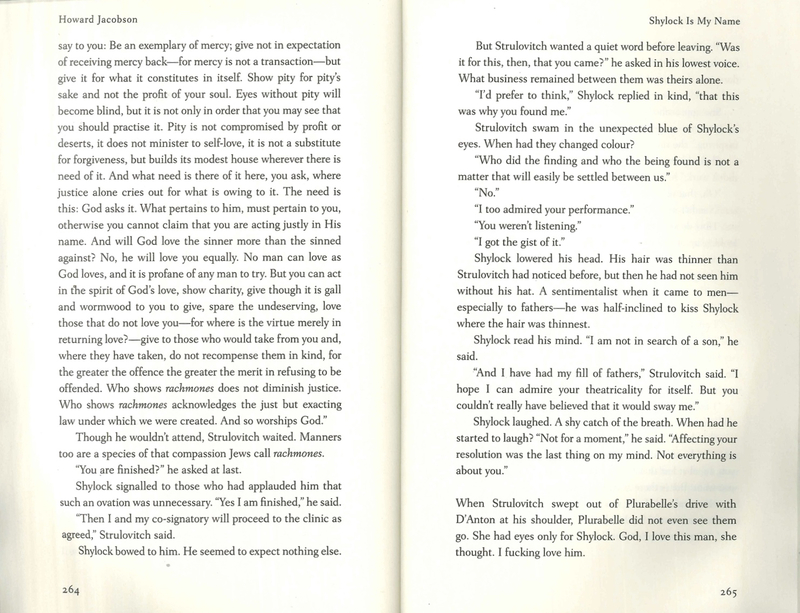 Shylock then stands as a guide to Strulovitch's experiences—and also as a touchstone for how Christians have treated / are treating Jews. Ambiguity over whether he is to be taken as real or as an emblem for Jewishness fills the novel's pages. 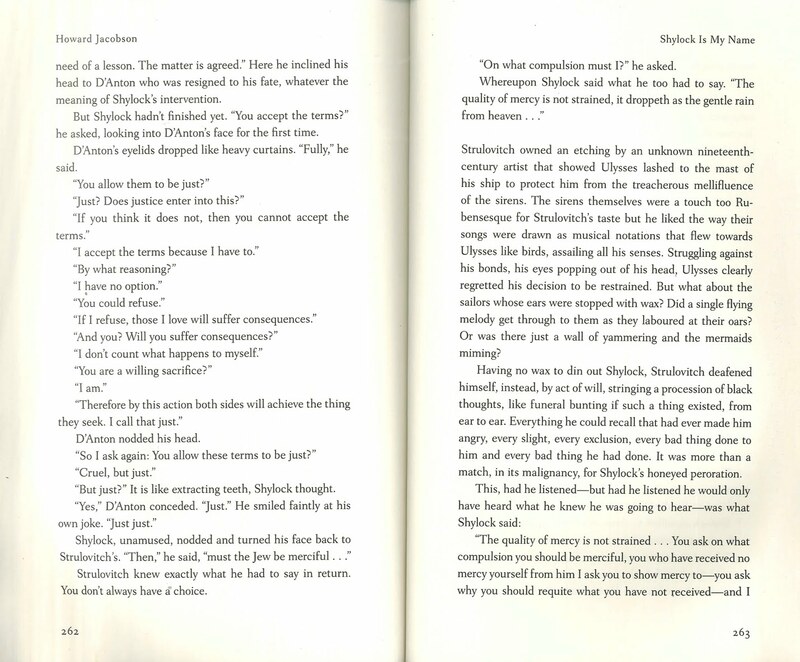 The novel's plot is cleverly woven together, and it leads to Strulovitch demanding that the man with whom his daughter has eloped / run away become circumcised (this becomes the modernization of the "pound of flesh"). 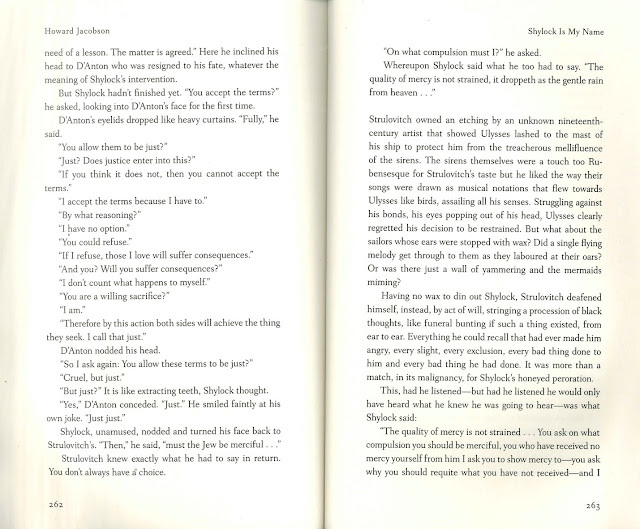 When he can't be found, Strulovitch demands that D'Anton, the man's older mentor and friend, take his place. The kinds of things this novel does are the things all the Hogarth Shakespeares ought to do.